I am in RURRENABAQUE, on one of the slowest most expensive connections in Boliva. 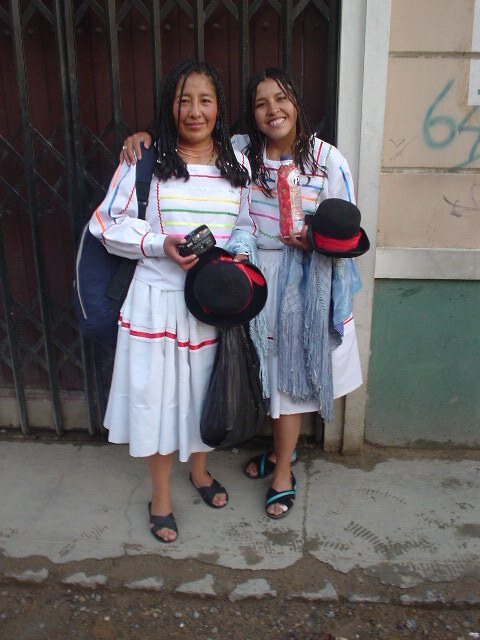 The price went from 2 in La Paz to 18 Bolivianos. I leave for the jungle tomorrow and no pictures or comments on blog for 3 days or more. These two young girls wanted me go dancing with them, I was lost for words, and finally did the manana thing, which never comes, I must look older than 25. 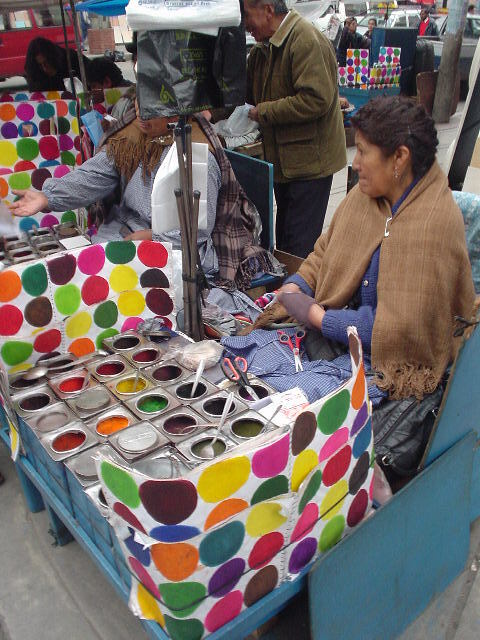 The sell dye in the streets of La Paz for clothes. 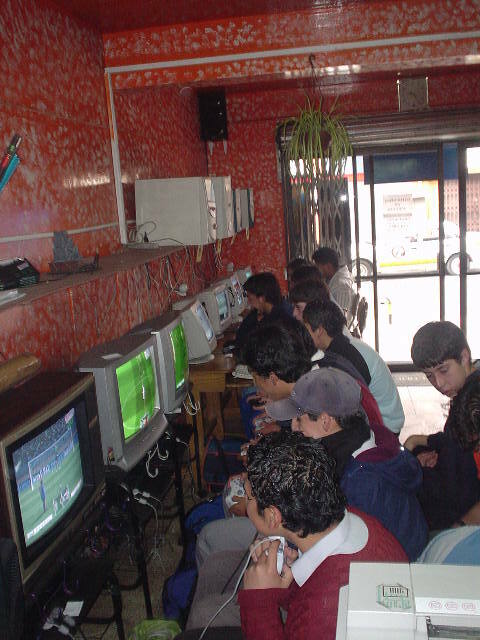 These young boys in La Paz drive me crazy playing video war games in the internet cafe. 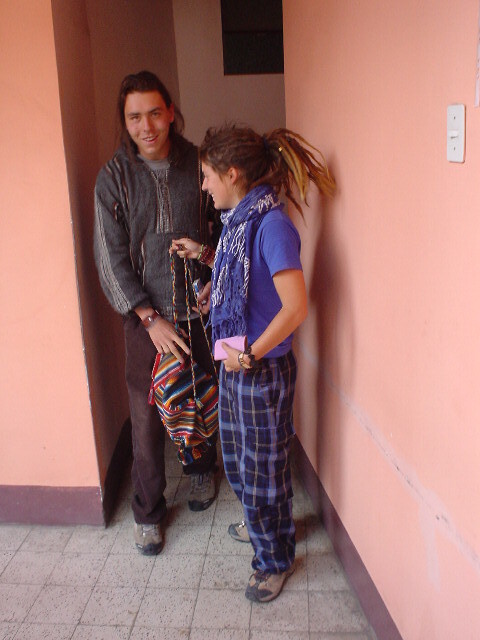 French Canadian couple dressed up in typical dreads and colors, make you wonder what your kid is doing?